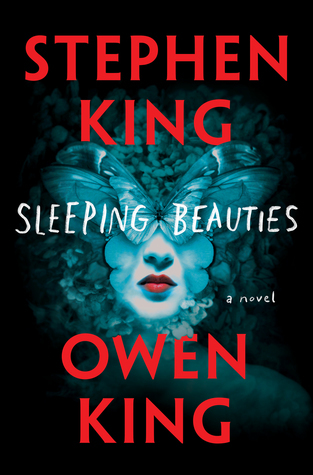 Sleeping Beauties is a drama/fantasy/action novel written by Stephen King and Owen King published in September 2017 by Scribner. A mysterious condition hits the whole planet in an instant–if a woman falls asleep, threads of what appear to be fungus quickly envelop her, forming a sort of cocoon. She continues to live inside the cocoon if left undisturbed. If the cocoon is broken, she will wake up and react violently like a rabid animal. Meanwhile, in the Appalachian town of Dooling, a mysterious stranger who calls herself Eve who is arrested after violently killing a man with apparently superhuman strength. There’s no end in sight for the condition that affects only women–the women who are still awake try desperately to stay that way, some of the men left behind are ready to take desperate measures of one kind or another, and all hell is going to break loose. People find out that Eve can sleep without going into a cocoon, and they become violently desperate to find out why. Clint Norcross, the prison psychologist, husband of the sheriff, has a violent past from his juvenile days that he keeps to himself, even from his wife, and he takes it upon himself to protect as many women as he can, including Evie.